Tired of Changing Your Password? After signing up for two-factor authentication, change your NetID password to a new 12-16 character password and you will no longer be prompted to change it. 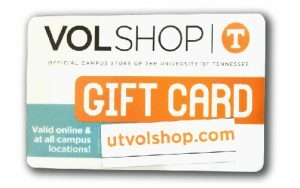 Students: Want to win a $50 UT VolShop gift card? When you sign up for two-factor, you’ll be automatically entered to win! Winners drawn in March, April, August, and September. Restrictions may apply. Early entrants added for all following drawings. Better your chances for winning—sign up now! What Is Two-Factor Authentication (2FA) and Why Do We Need IT? Passwords aren’t getting the job done to protect the university and you against cyber attacks. 2FA boosts protection of your account from hackers. We are all used to having one layer of security — our password — to protect our accounts. With 2FA, if the hackers have your password, they will still need your phone or passcode to get into your account. something you have – a phone or passcode, to authenticate and gain access to an account. For example, this may be a smartphone or tablet using an app or a hardware token device. Watch the video below to learn more about two-factor authentication and why we need it.